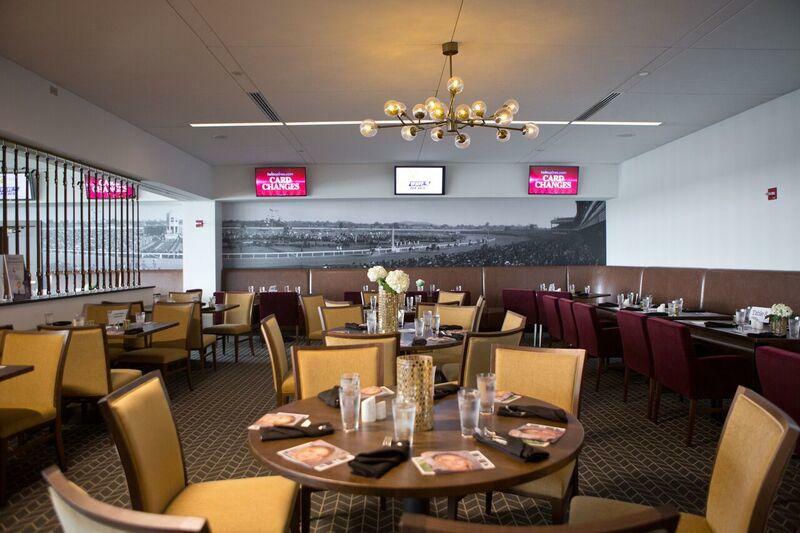 Sit down in the same seats as the world’s most revered racing enthusiasts! 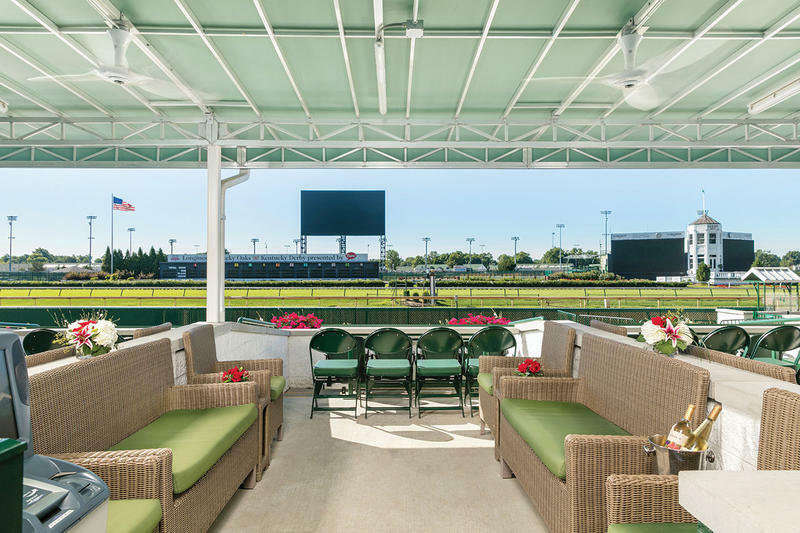 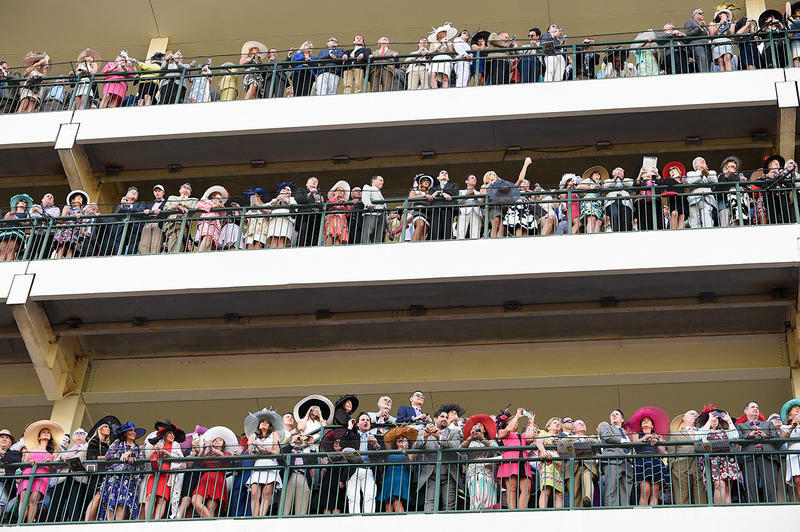 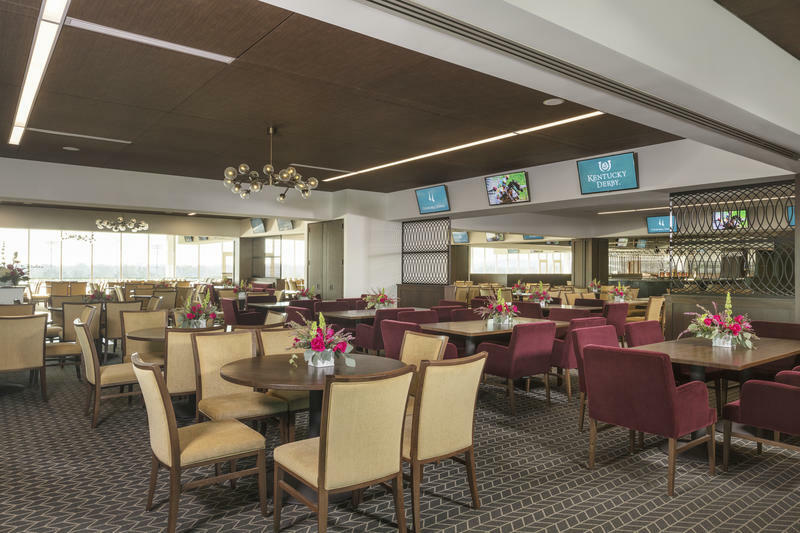 The Millionaires Row and Skye Terrace dining rooms provides scenic vantage points to view the races from a tiered balcony overlooking the finish line, or via televisions monitors from the comfort of your table. 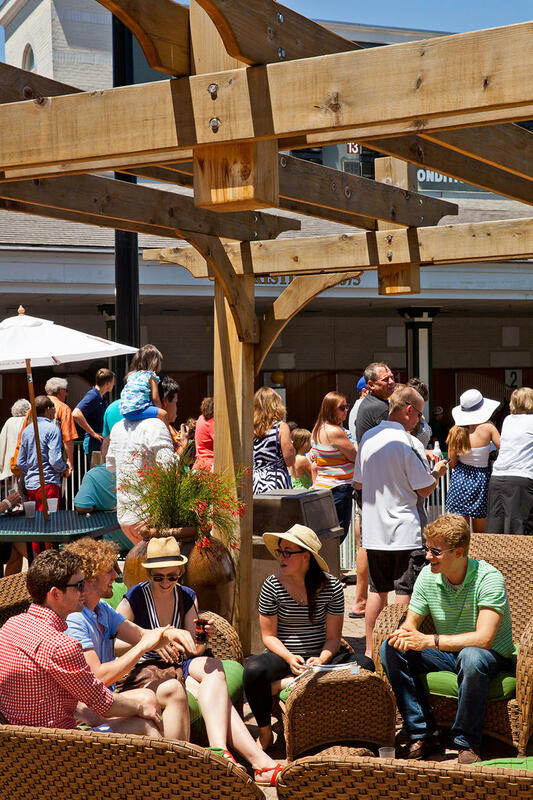 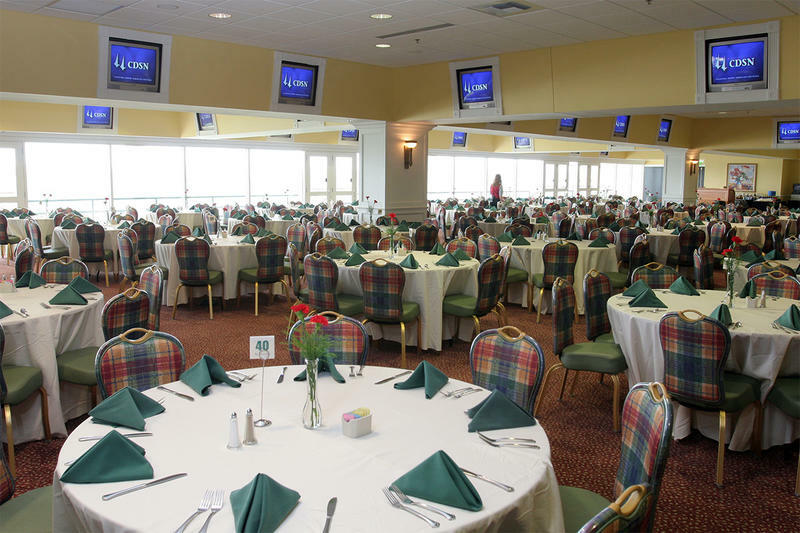 Tickets start at $39.00 per person inclusive of admission, a race day program, Chef's Table buffet and soft beverages. 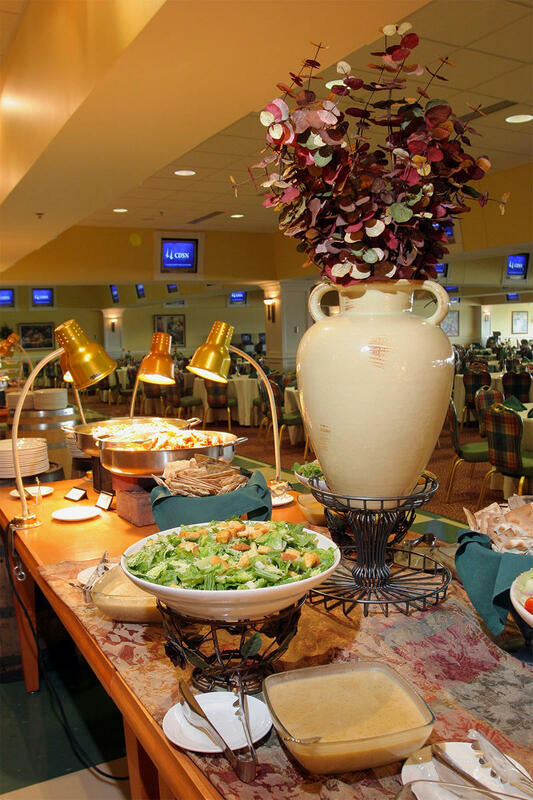 Buffet service is available for three (3) hours, beginning at gate opening time. 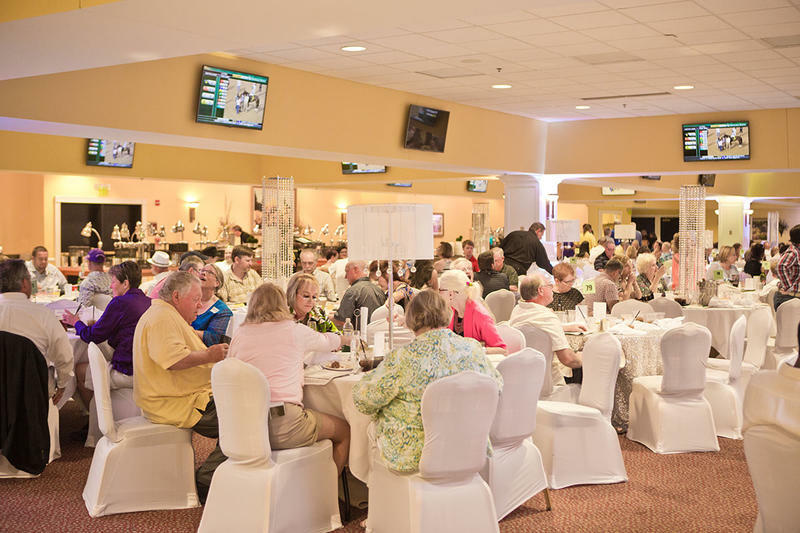 Seats do not need to be purchased as complete tables, though when reserving less than a full table your group may share a table with other guests. 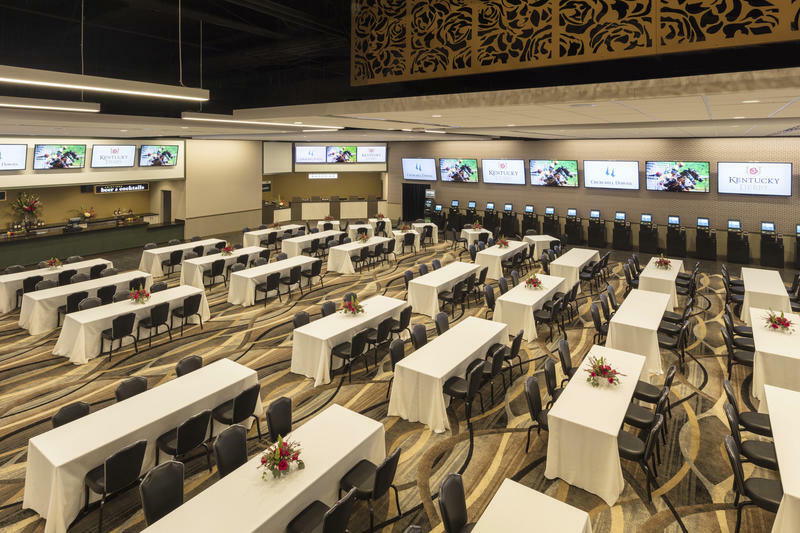 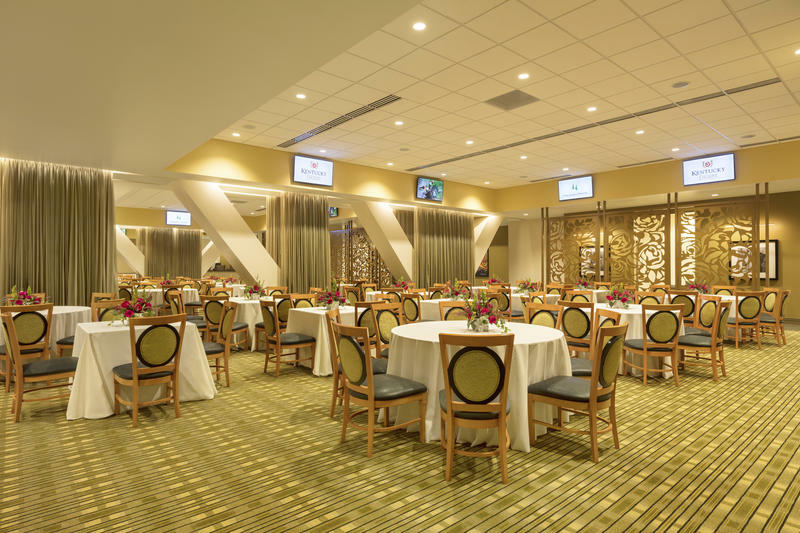 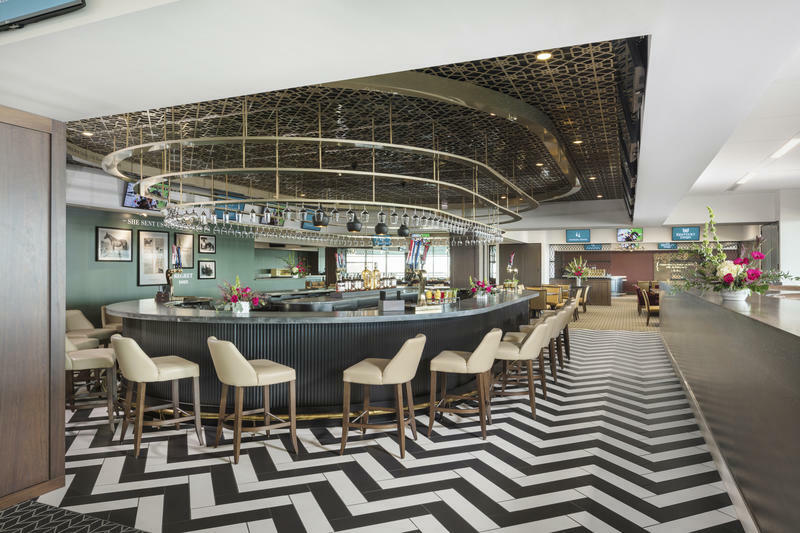 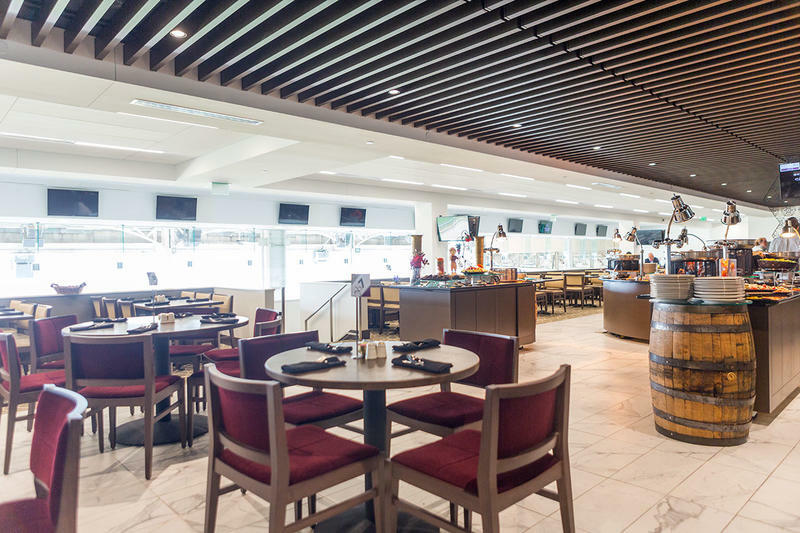 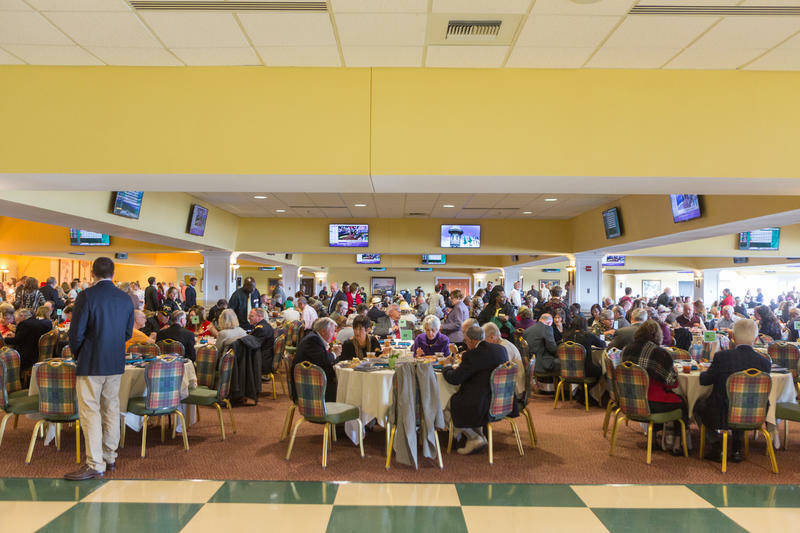 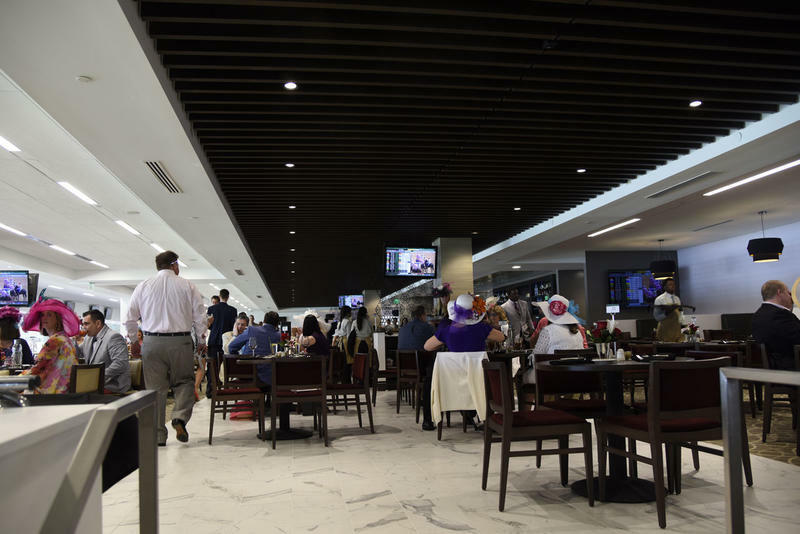 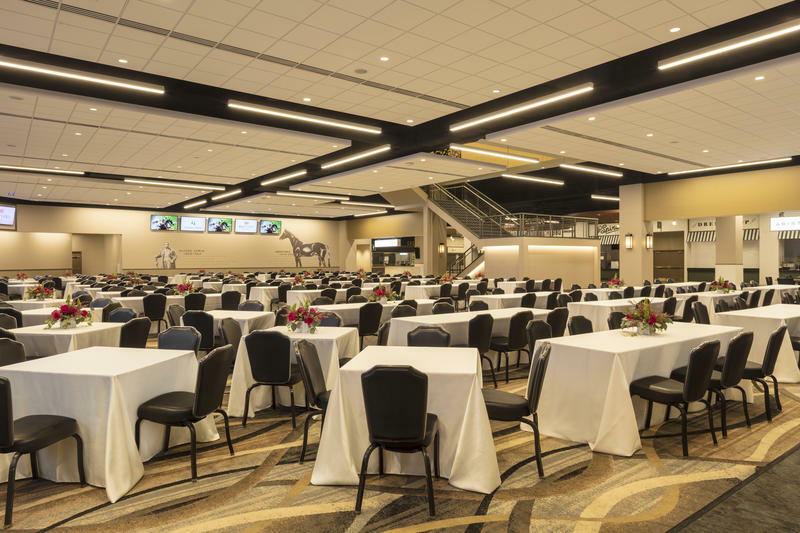 Dining amenities include a Chef's Table buffet and cash bar service, as well as easy access to mutuel tellers, self-service betting machines, television monitors, and restrooms. 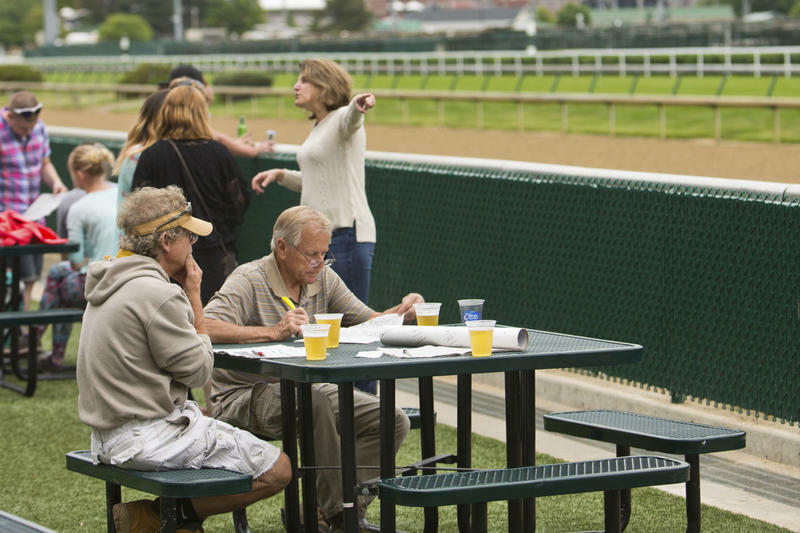 Dress code for this area is Track Casual. 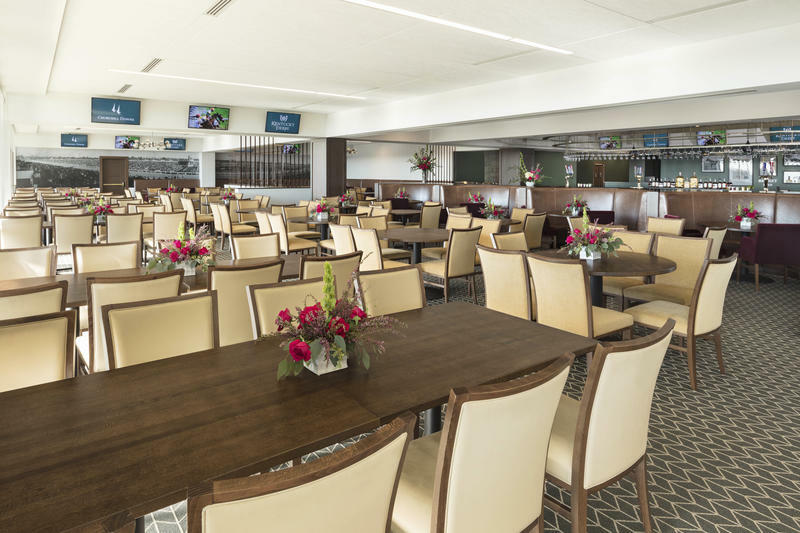 The premium Stakes Room offers private wraparound balconies which provide phenomenal views of both the track and paddock. 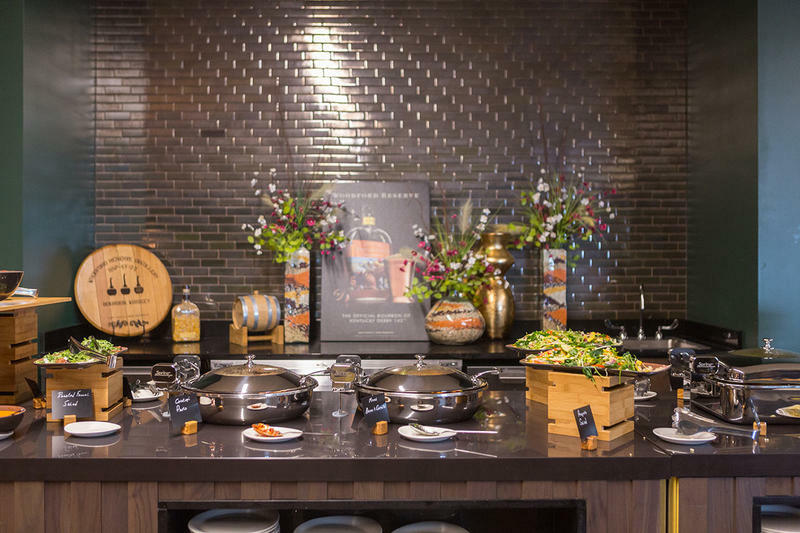 The Stakes Room features a premium buffet featuring a daily rotating menu of locally sourced seasonal ingredients, carving stations & an array of desserts. 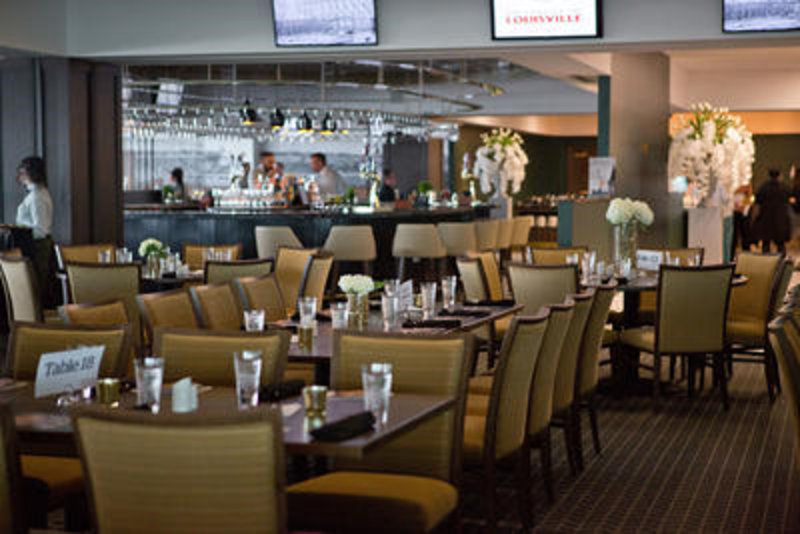 View Sample Menu. 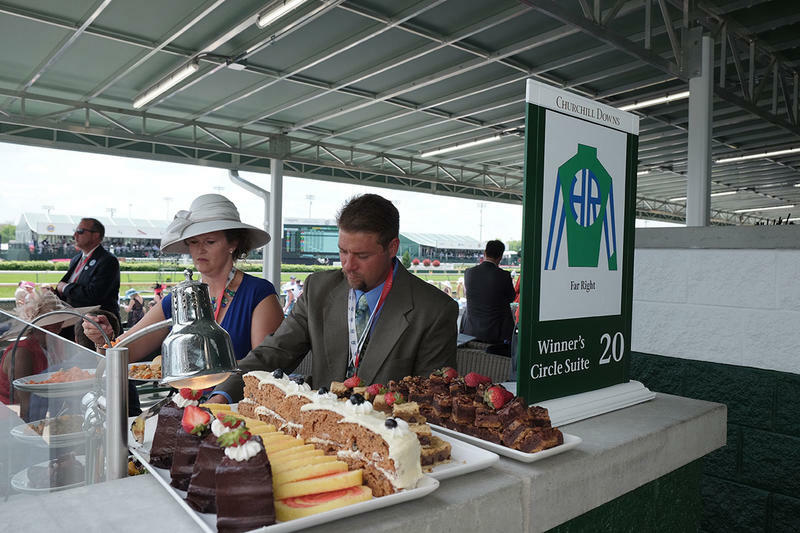 Buffet service is available for three (3) hours, beginning at gate opening time. 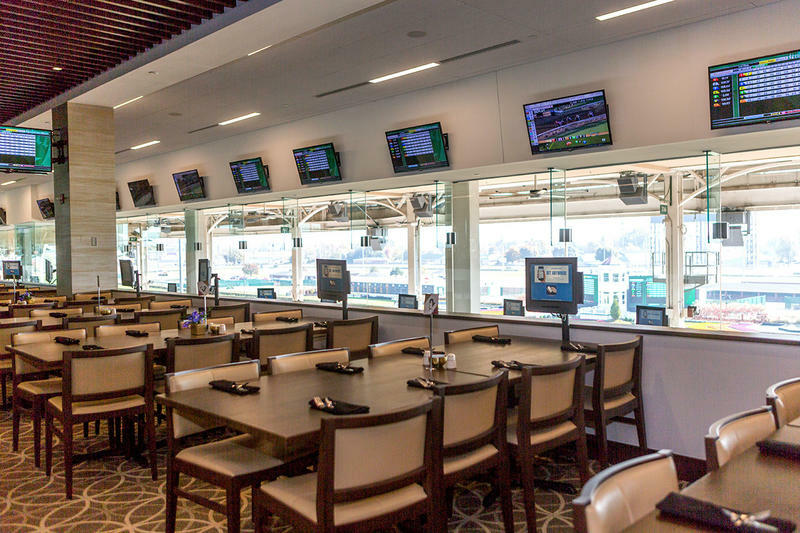 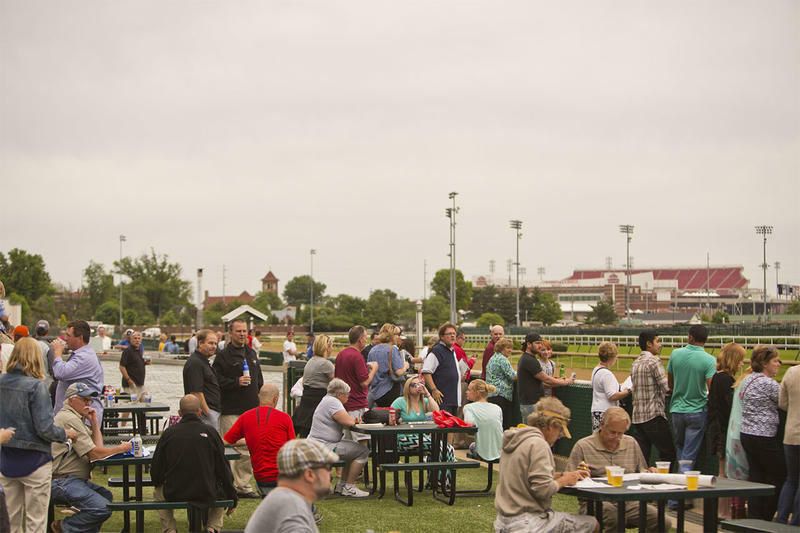 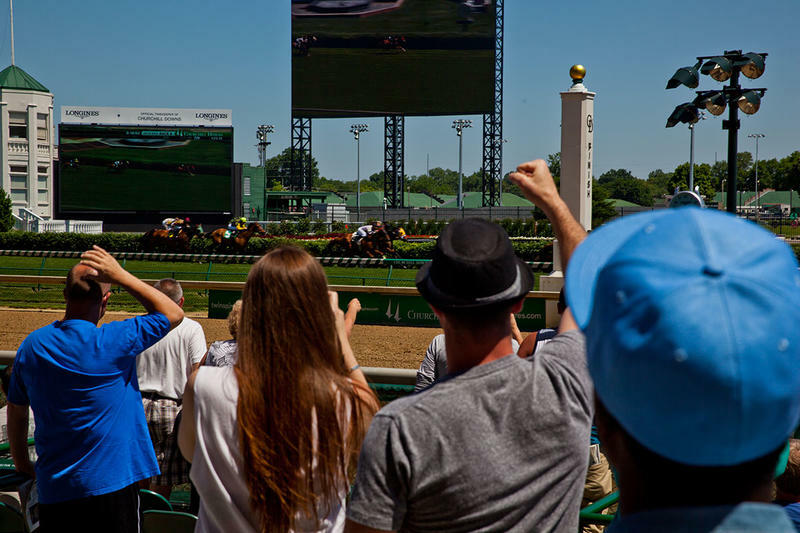 Exclusive cash bar service and access to mutuel tellers, self-service betting machines, television monitors, and restrooms. 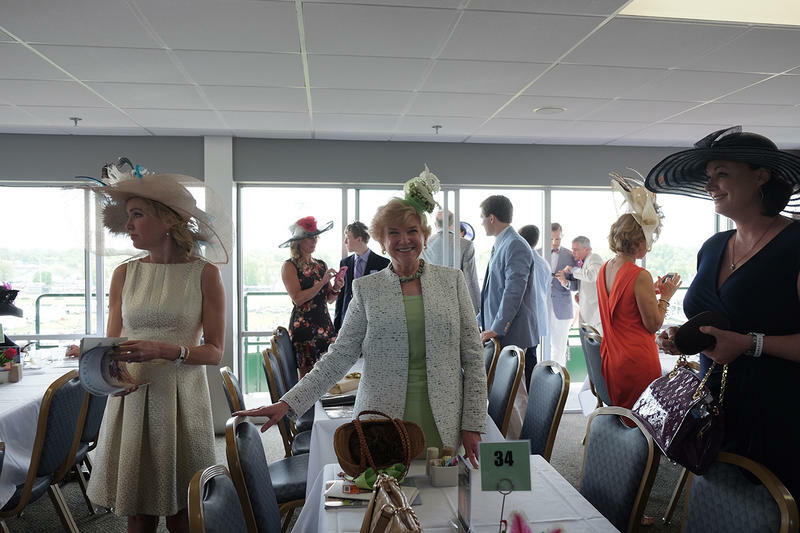 Dress code for this area is Smart Casual. 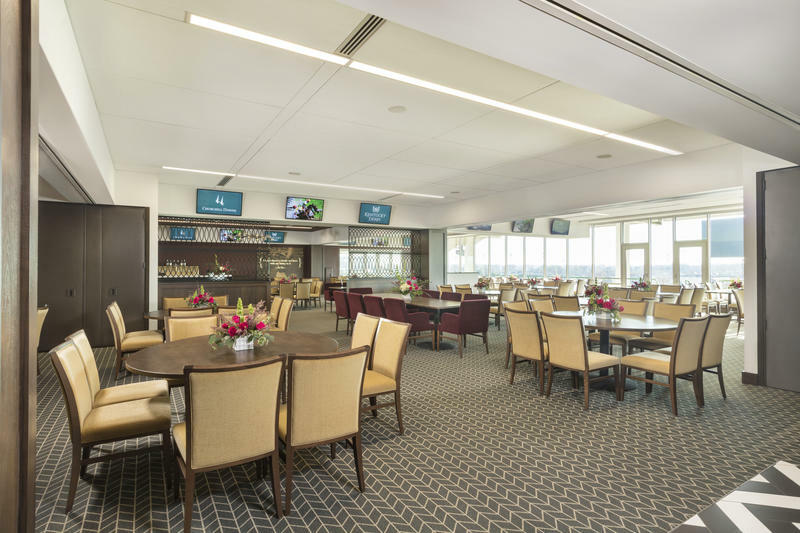 This beautifully appointed interior dining room, formerly known as the Matt Winn Dining Room, has outstanding track views including those of the final stretch and finish line. 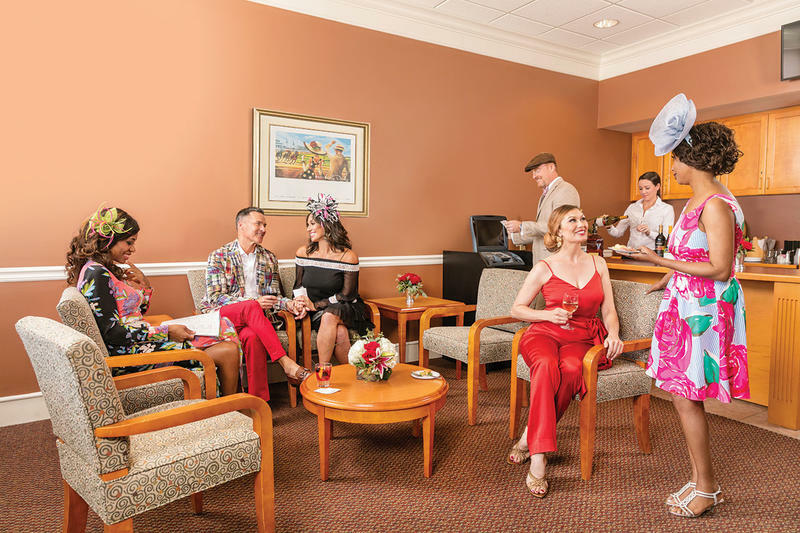 Enjoy gracious décor showcasing the excellence displayed by 12 Triple Crown winners and other unforgettable performances by horses and horsemen. 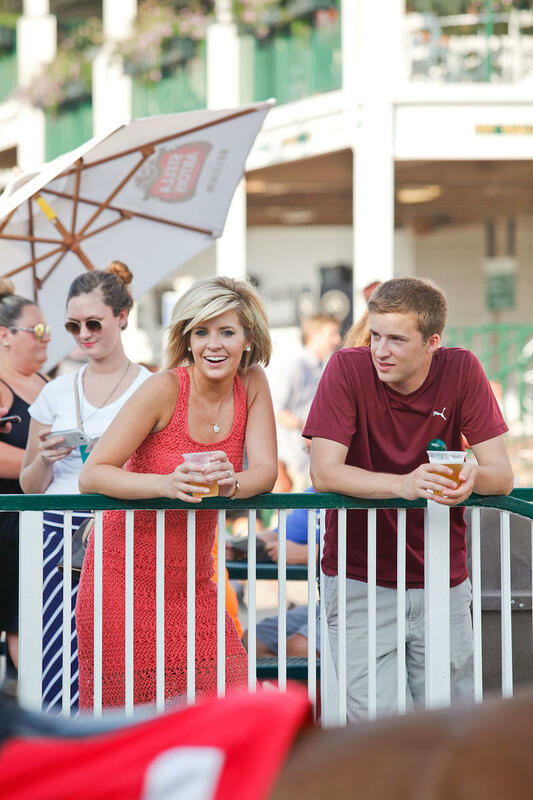 Ticket prices start at $20.00 per person which includes your seat, official racing program and access to the third floor clubhouse. 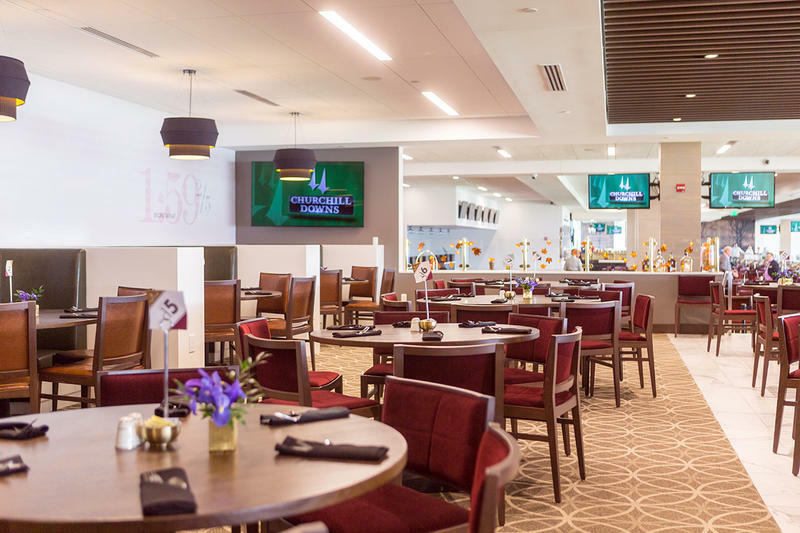 Dining options include a Chef’s Table Buffet or a variety of delicious choices on the Roses Lounge menu. 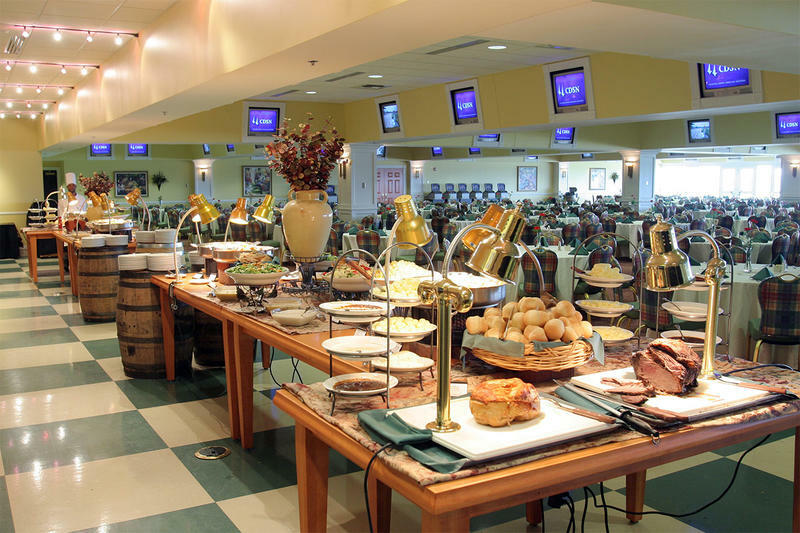 Buffet pricing starts at $23. 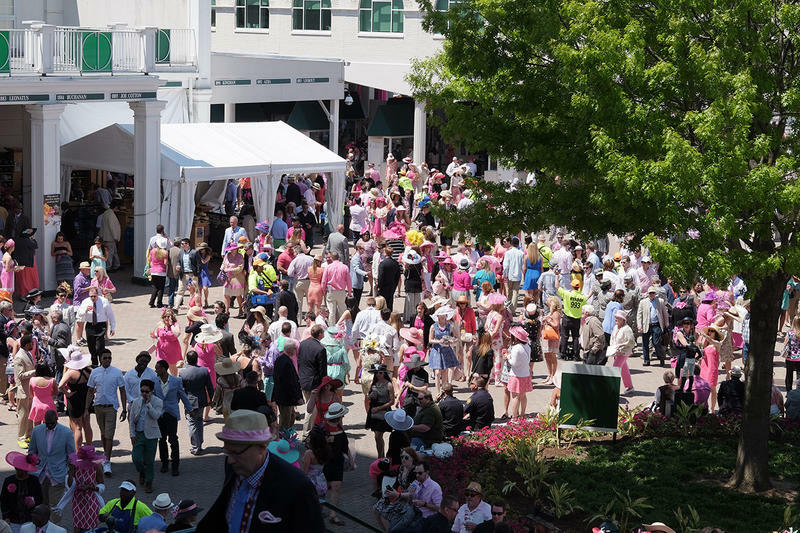 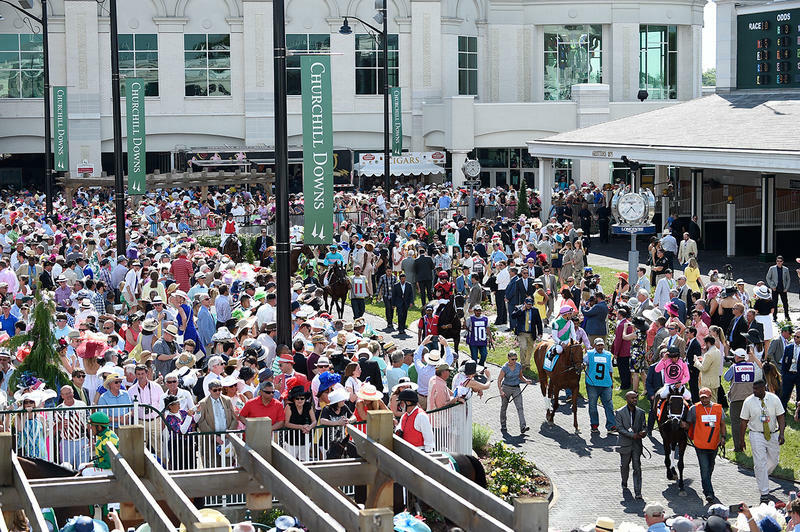 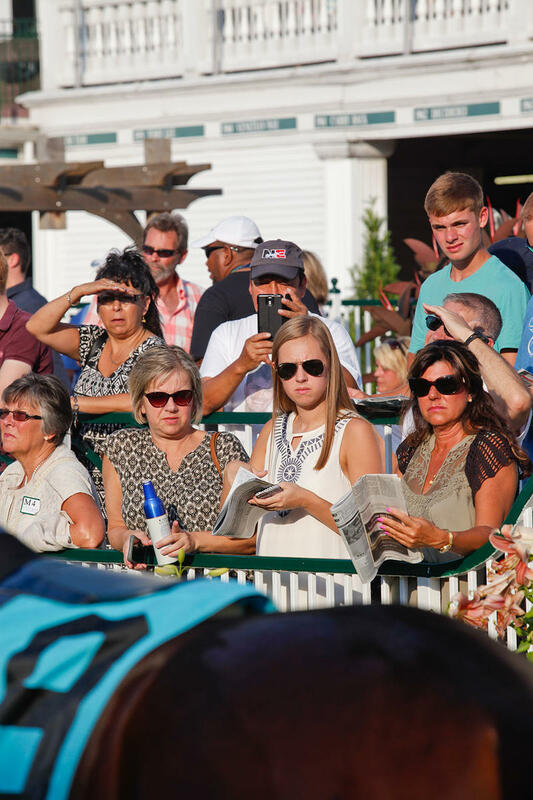 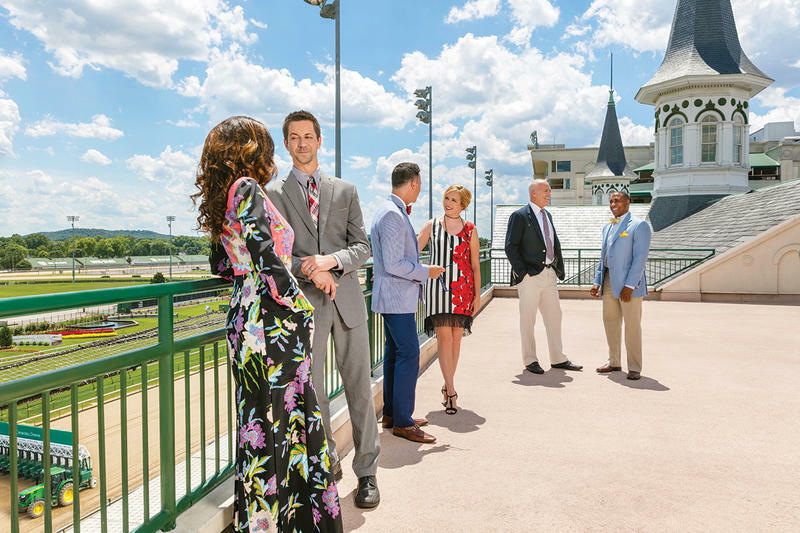 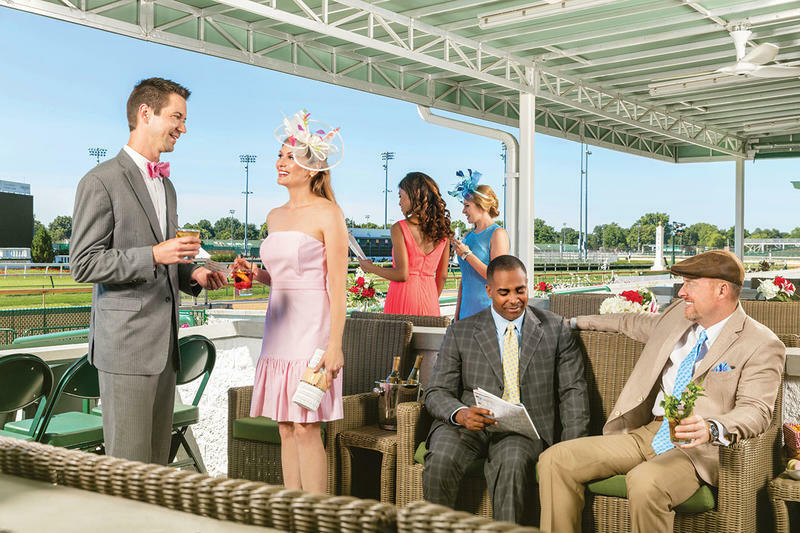 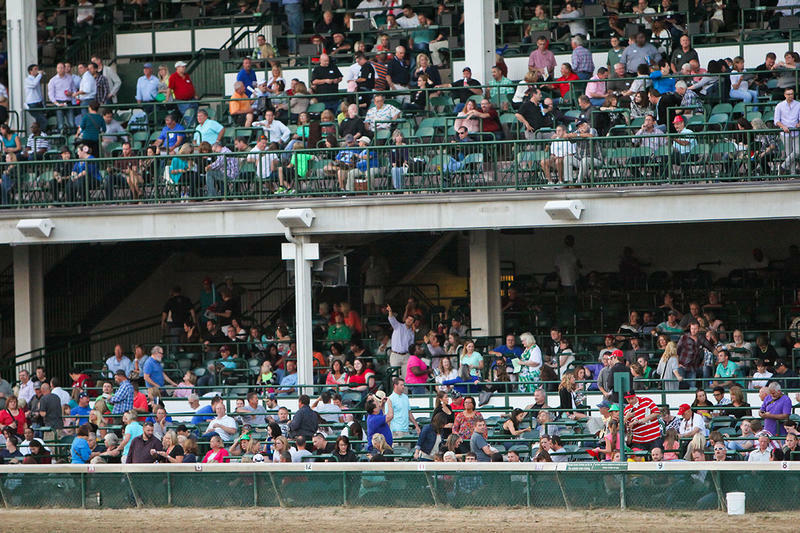 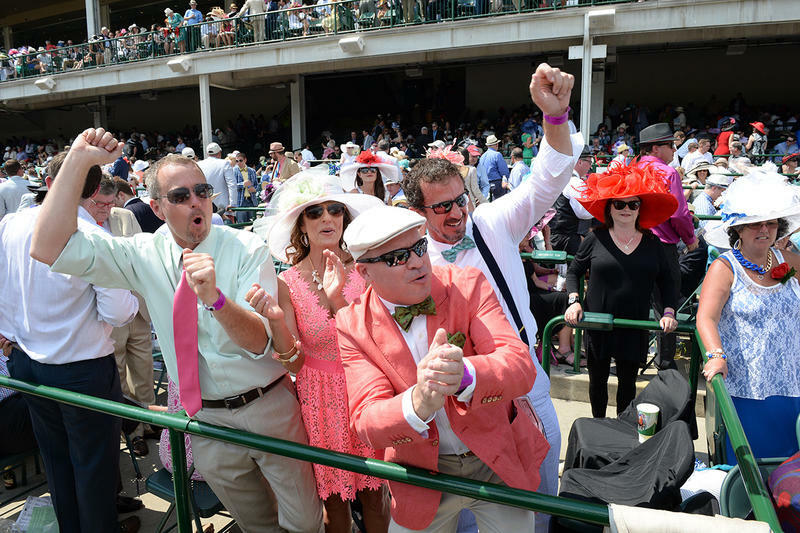 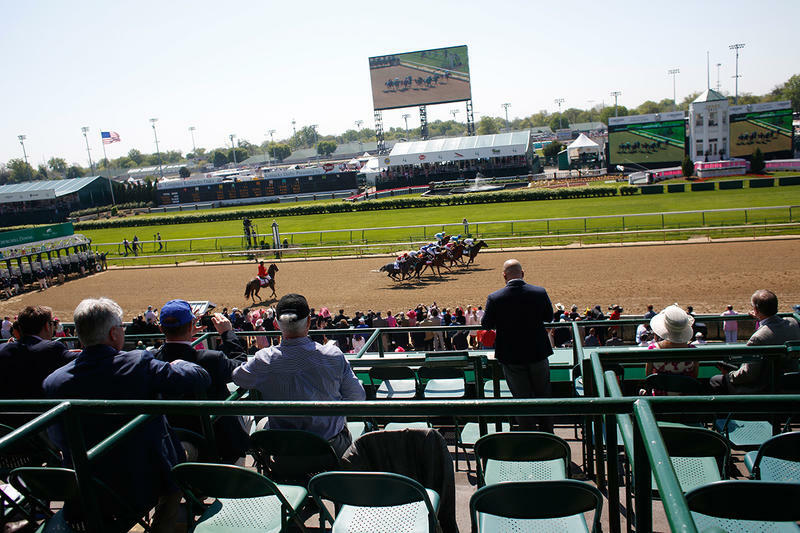 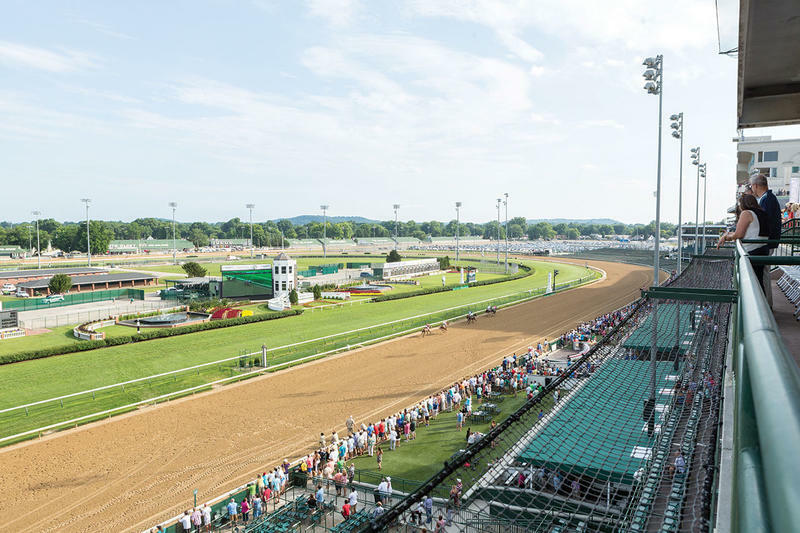 Dress Code for this area is Track Casual, except for Opening Night, Derby Week, Mother's Day, Preakness, Belmont, Downs After Dark, Thanksgiving and the Clark Handicap. 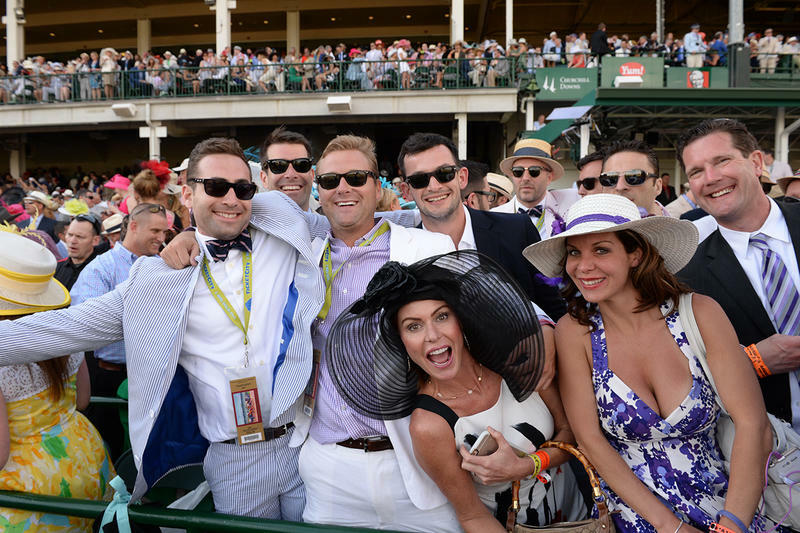 On these days the dress code is Business Casual. 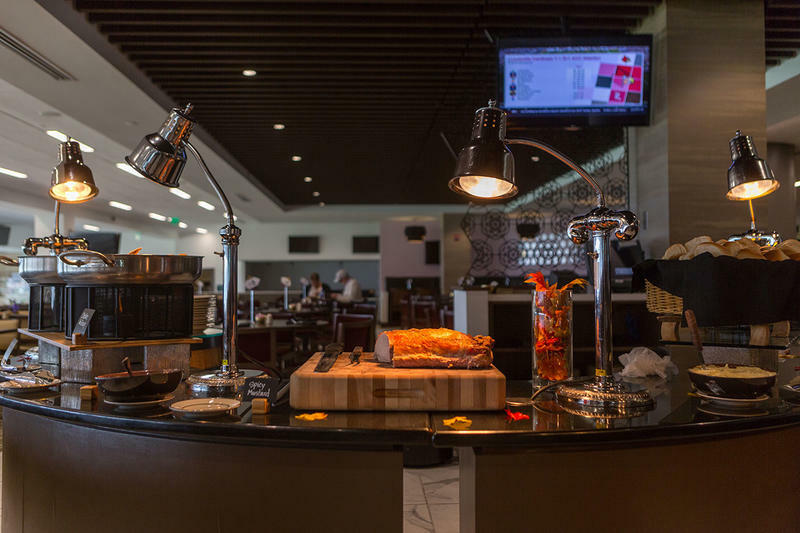 Dining options include a Chef’s Table Buffet or a variety of delicious choices on the Aristides Lounge menu. 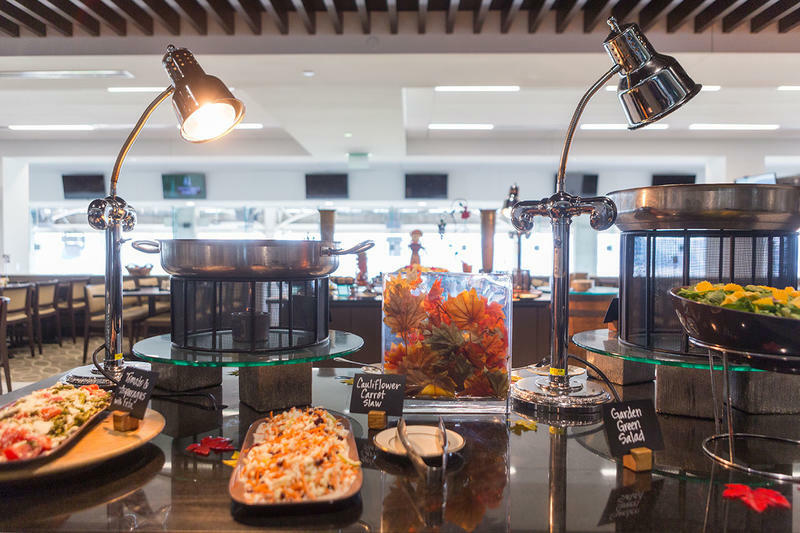 Buffet pricing starts at $39. 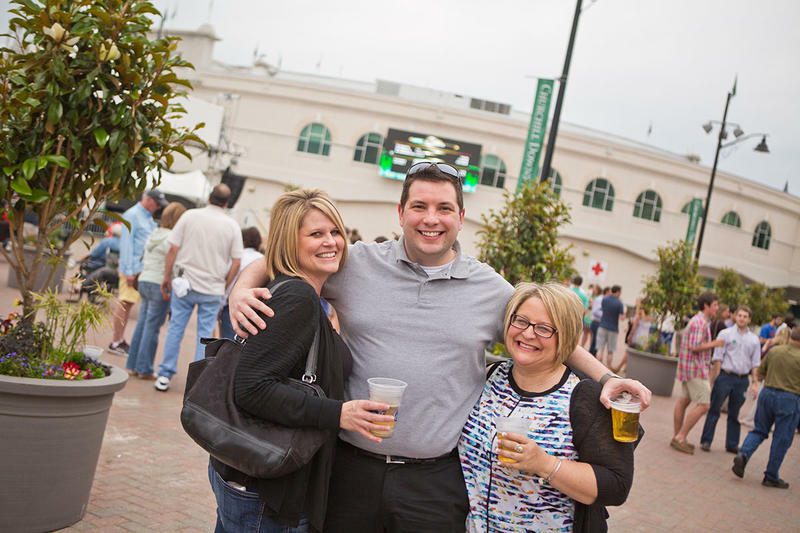 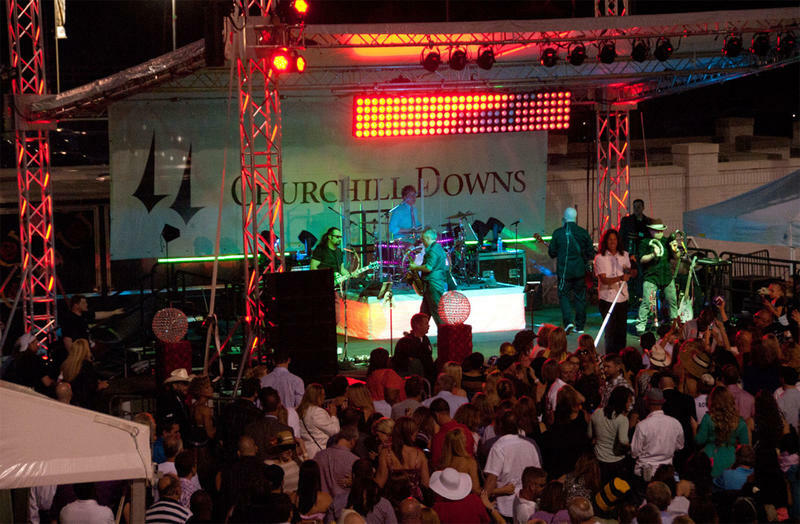 Have a unique experience for Downs After Dark in The Courtyard, a 21+ exclusive area on the home stretch of the racetrack, with access to indoor hospitality. 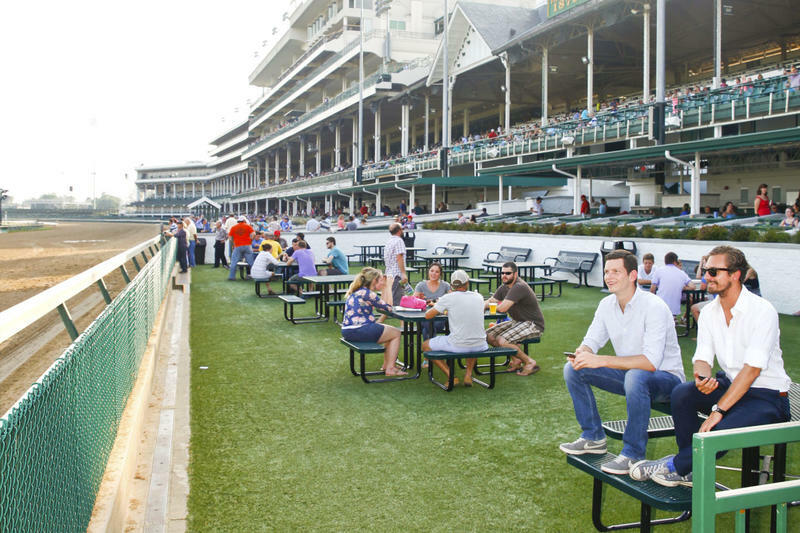 Dress code for this area is track casual. 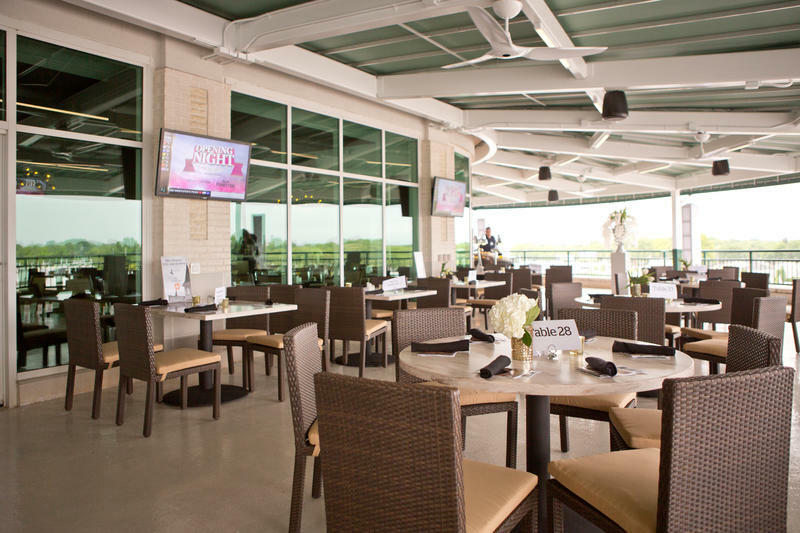 Draft beer and wine from 6-10 p.m. 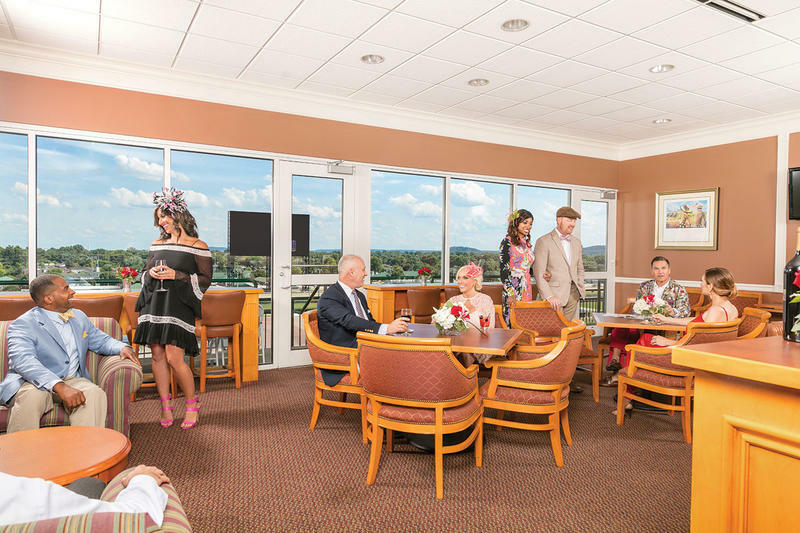 Sit down to a stunning view of the world’s most legendary racetrack! 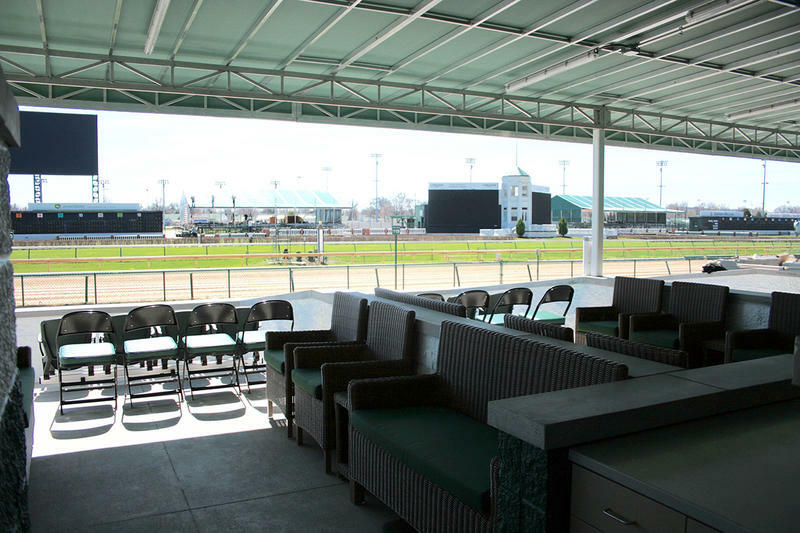 Covered and uncovered outdoor reserved box seats are located on the second and third levels of the clubhouse, along the finishing stretch of the dirt racetrack. 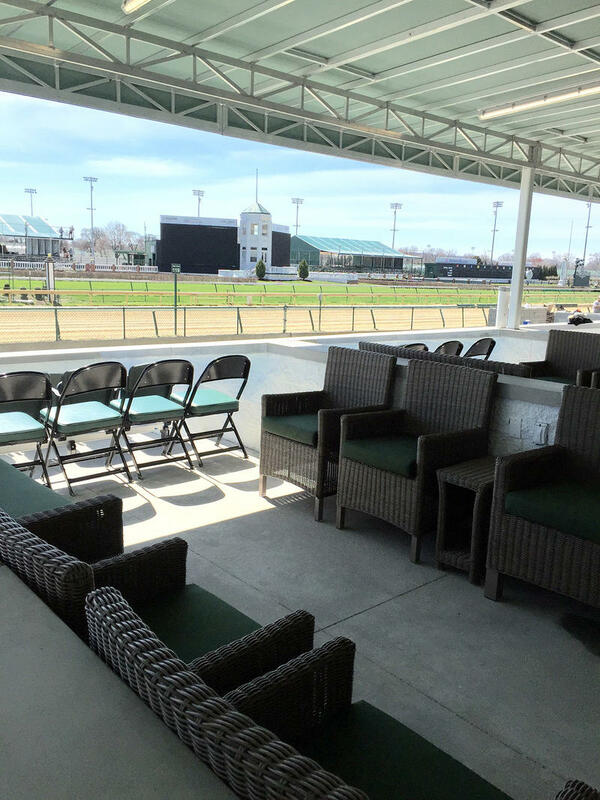 Reserved box seat tickets include admission and a reserved seat. 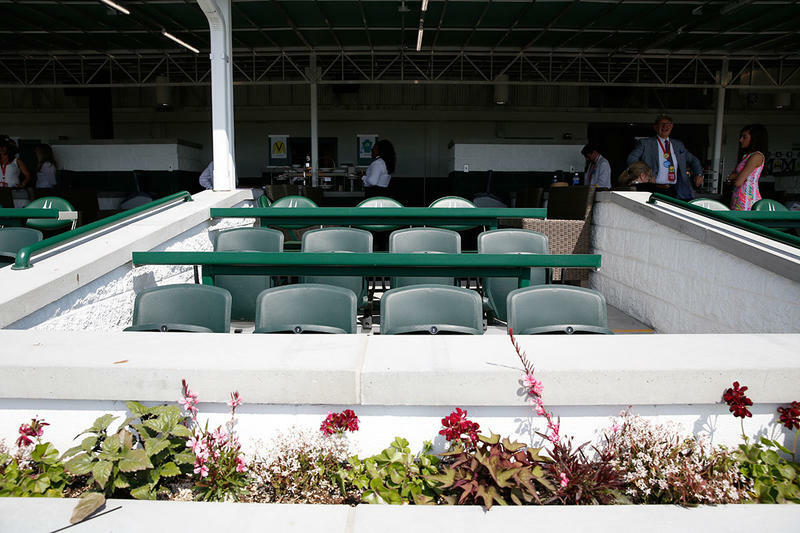 Reserved box seat guests have access to the second level ITW and Food Court, as well as the Paddock area and Paddock Plaza. 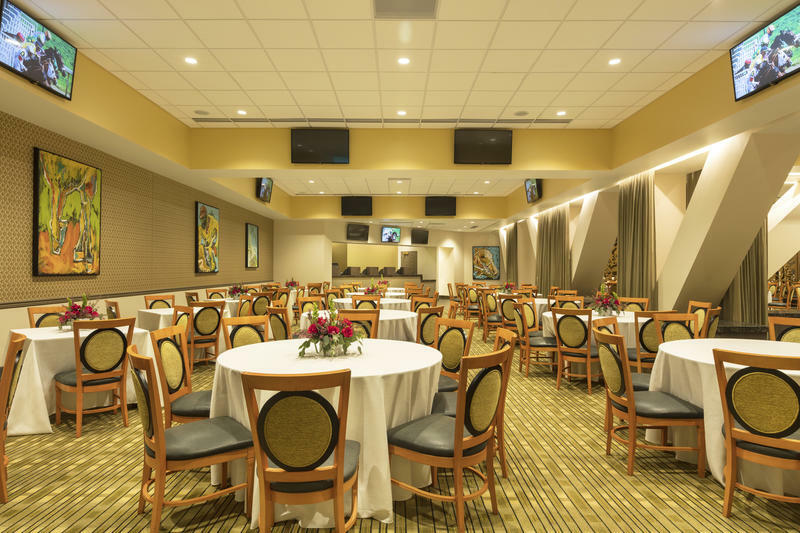 Seats do not need to be purchased as complete boxes (6 seats), though when reserving less than six tickets, your group may share seats within a box with other guests. 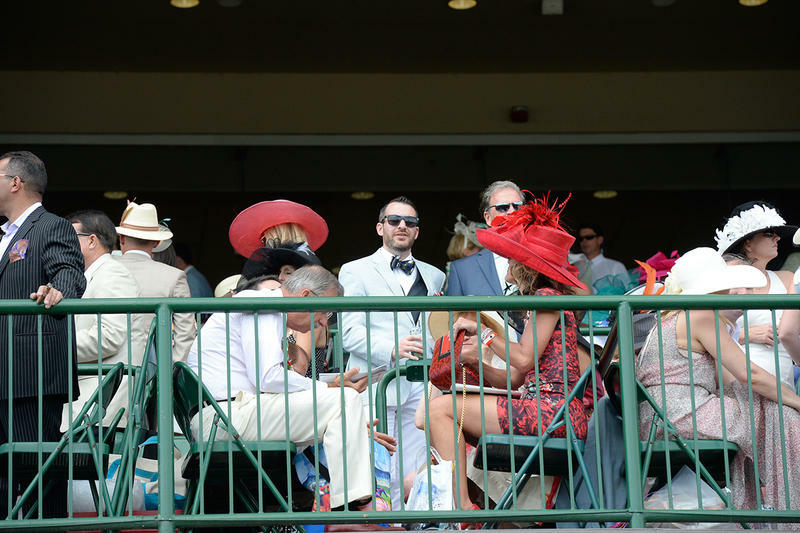 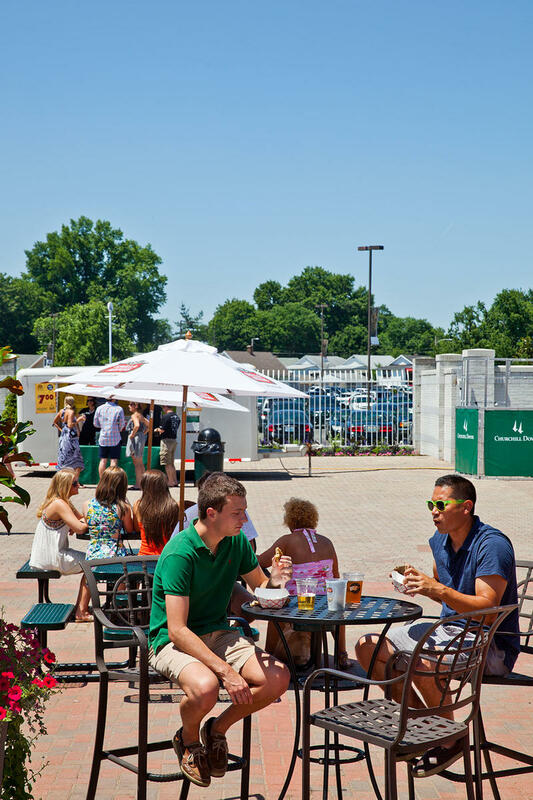 General admission tickets allow access to first floor seating (including first floor clubhouse and first floor grandstand area), as well as the Paddock area, Paddock Plaza, second level ITW, and Food Court. 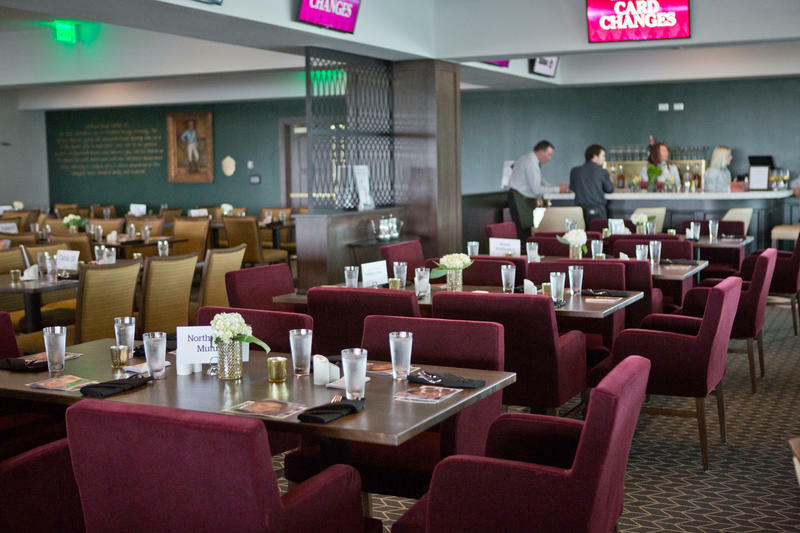 Seating is first come, first served. 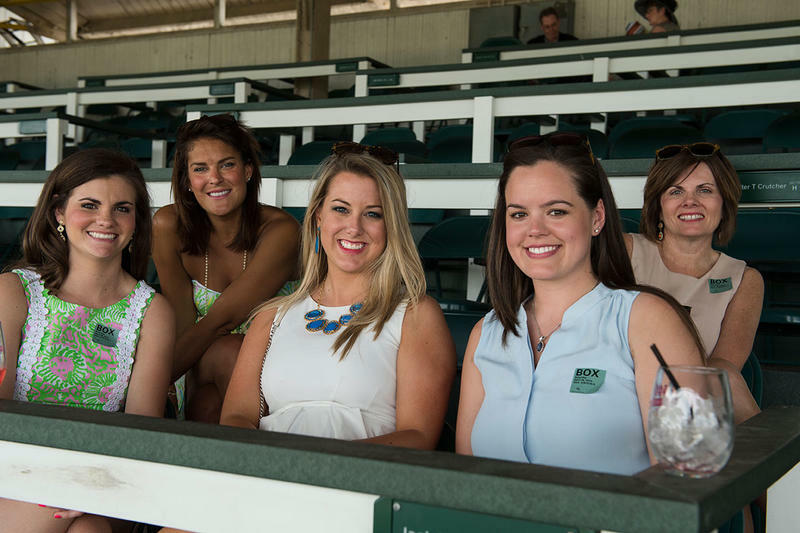 General admission tickets start at $5.00 per adult for Spring, September and Fall Meets. 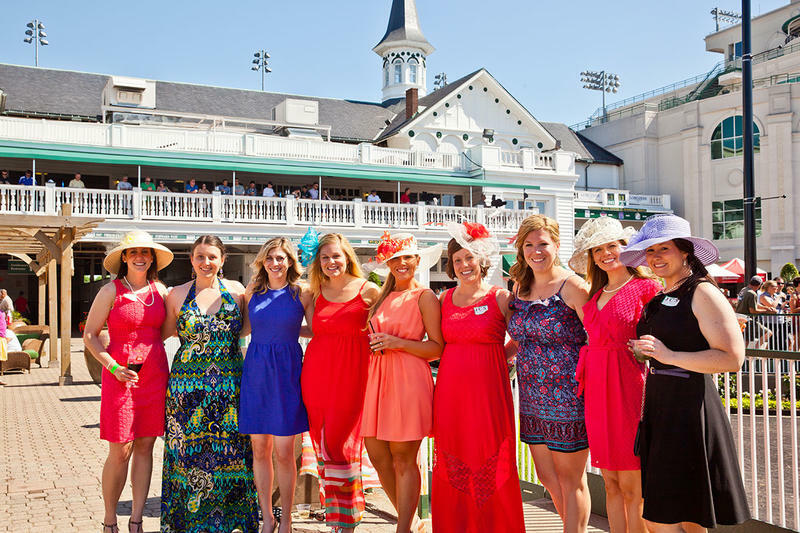 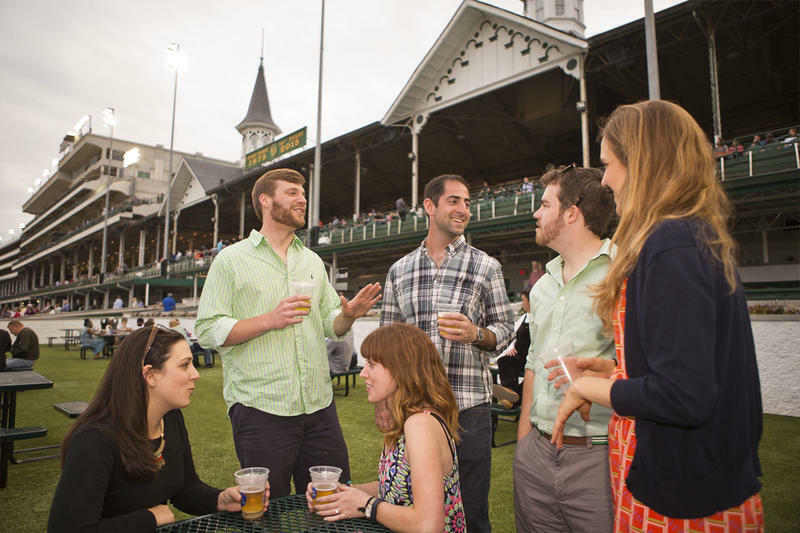 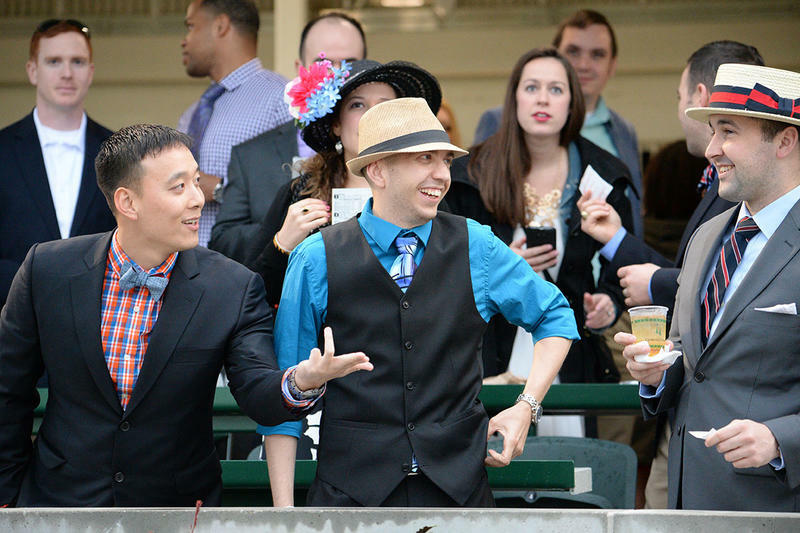 During Derby Week and select Featured Events GA Pricing is $12. 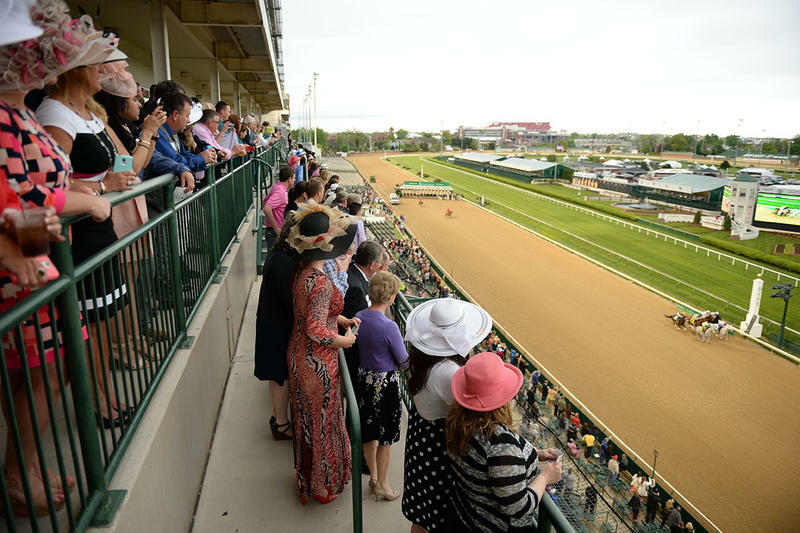 Children 12 years and younger are complimentary (this does not apply on Kentucky Derby & Oaks Days). 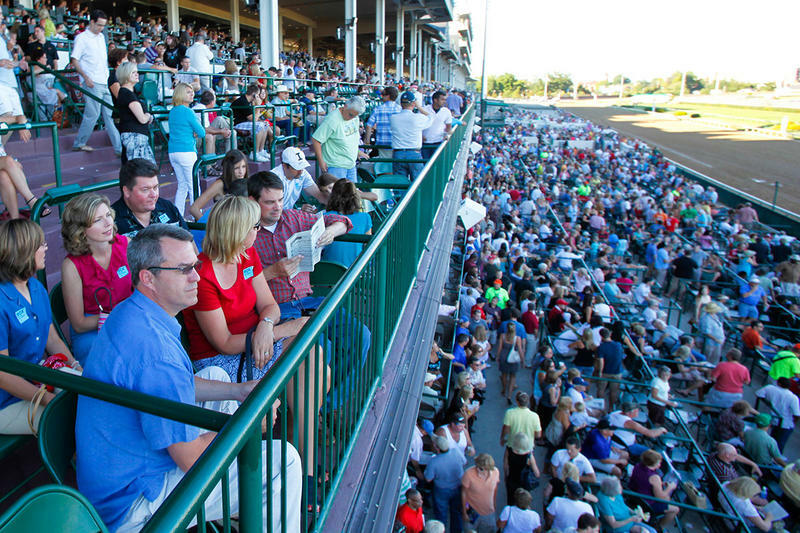 General admission can be purchased at any admission gate or online at the link below. 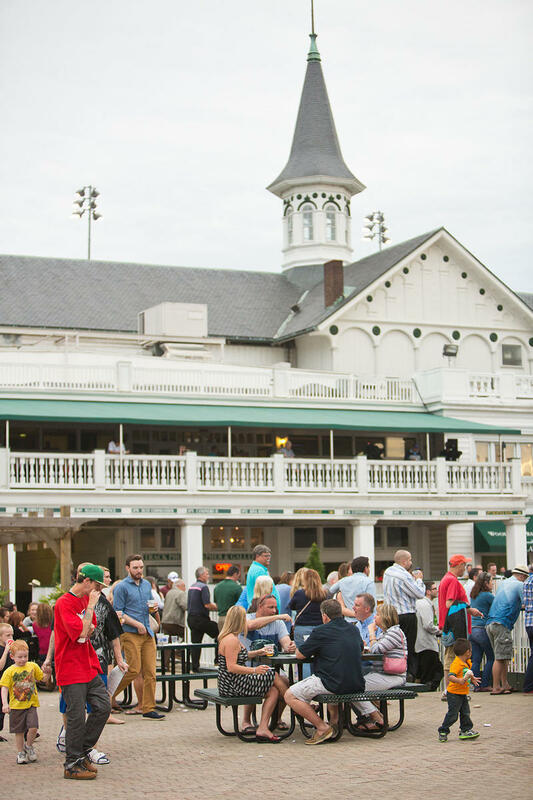 When you buy your General Admission ticket in advance online, you can avoid the lines and view the ticket on your mobile device for fast entry into the gates. 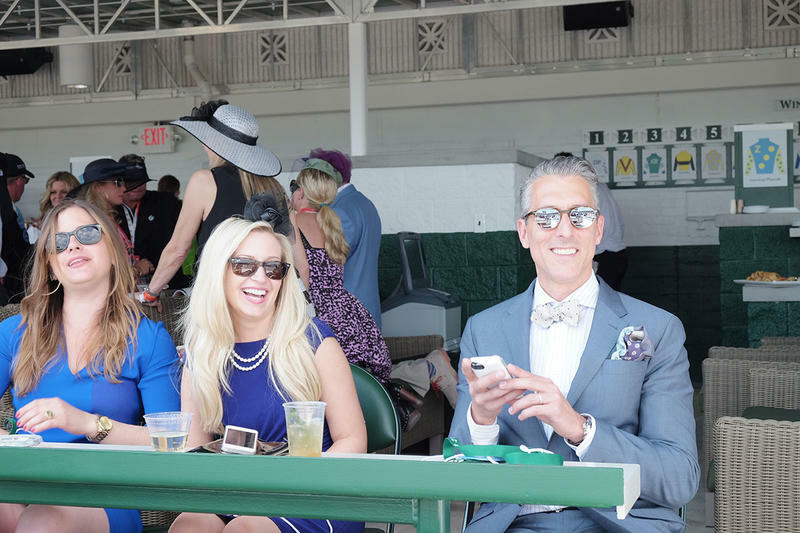 Please note that the Senior Discount is not available for all live race days. 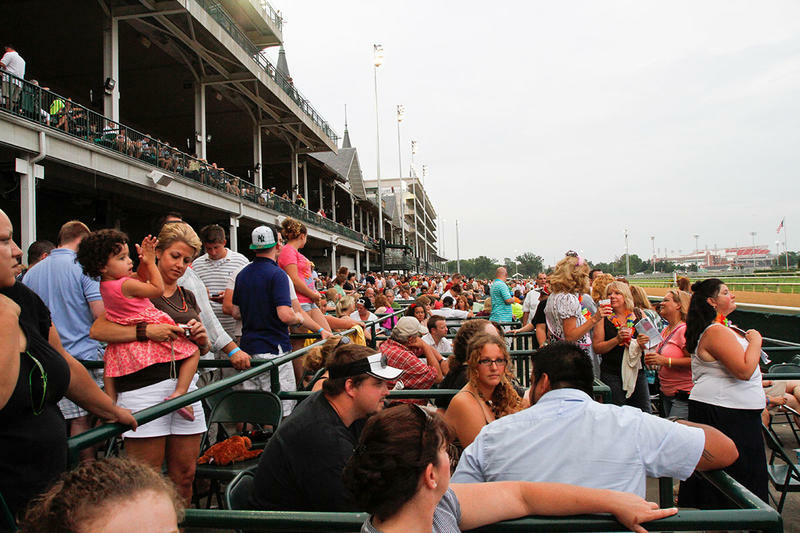 On Family Adventure Days, children under 2 years of age are free; 2-12 years of age require a child's ticket for entry.